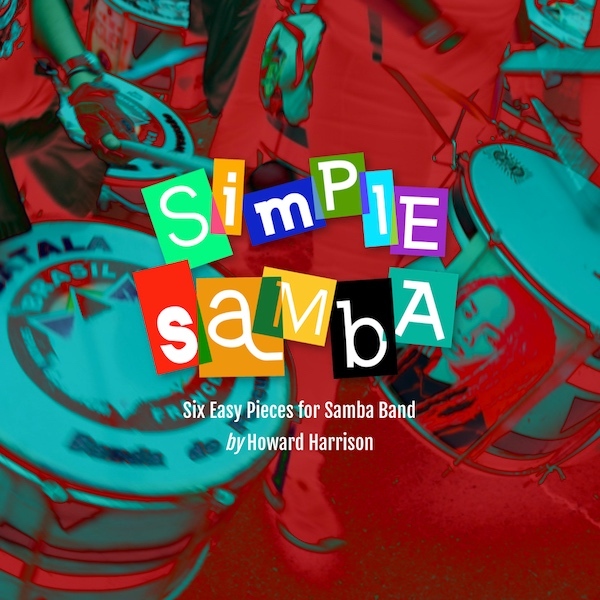 A responsive, single-page site that delivers a downloadable resource for anyone starting up a Samba Band. The resource contains audio files and a pdf and payment is via PayPal. Johanna is a soprano who needed something more flexible website than her previous diy on-line site. 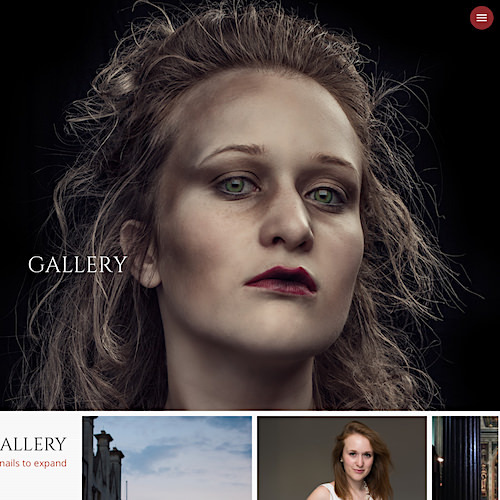 The change has allowed her to incorporate a gallery that does justice to some sparkling studio portraits. She can edit all the text via a simple Content Management System, so news of forthcoming performances is always up to date. Needless to say, the site works on all platforms. 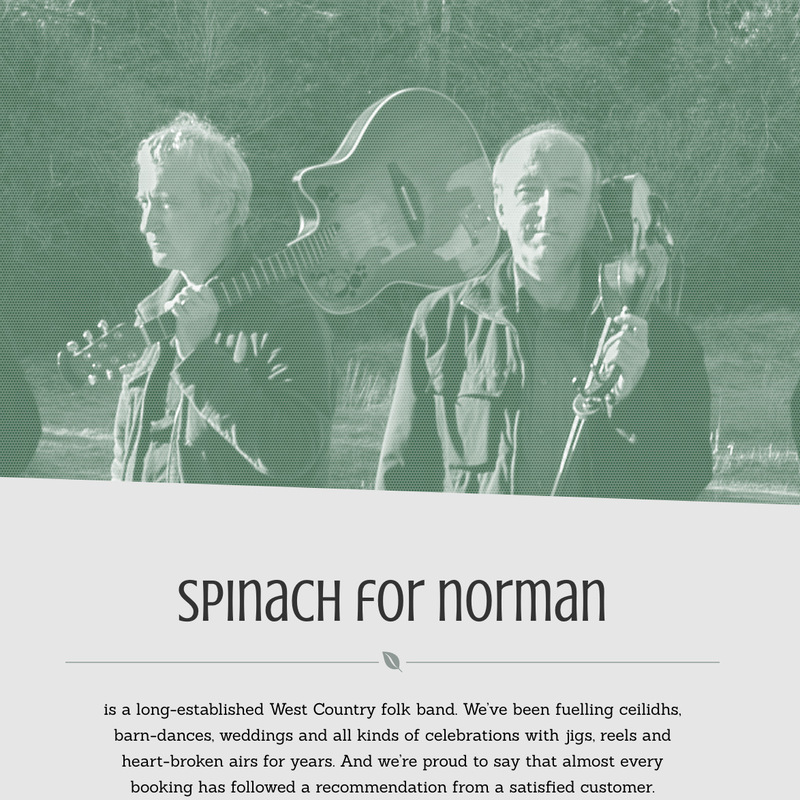 A single-page, responsive site for folk band Spinach For Norman, with contact forms, BandCamp links to sell their tracks, auto-play audio (if the browser permits it), and a Gig-List that can be easily updated via the Content Management System. 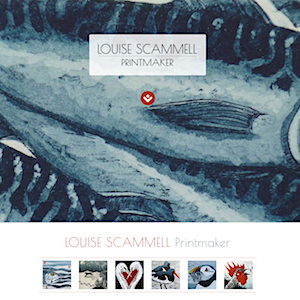 A responsive website showcasing Louise Scammell's beautiful prints. 7 galleries, e-commerce pages selling her small prints and cards, slideshows of the artist at work, contact forms etc. etc. Not all websites are there to advertise something. 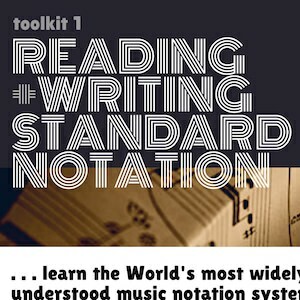 This one contains an eLearning project designed as a resource for composition students at Plymouth University. This site isn't designed to be viewed on a mobile because some of the content - the music scores, for instance - need to be large to be legible. 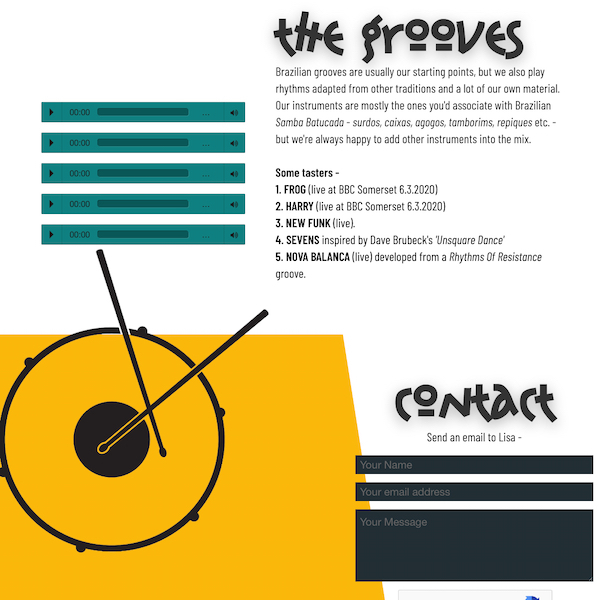 Skintight Samba wanted to let people know what they do and how to find and book them, so this is a single page site incorporating images, the band's distinctive typeface/logo, audio and text, including a CMS updatable News section. 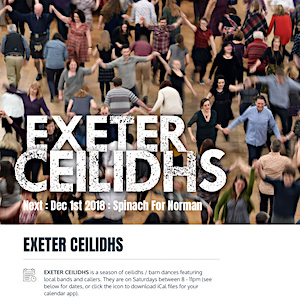 A simple website channeling information about a new series of ceilidhs in the Exeter area. 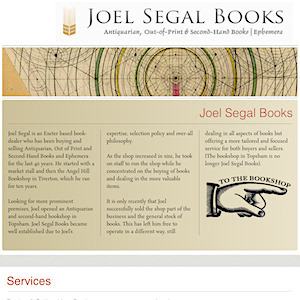 A responsive website advertising the services of Joel Segal, an Exeter-based Antiquarian bookseller. The second page is Joel’s Virtual Bookshop. Visitors can explore a selection of collectable and interesting books and order and pay for them on-line. Joel can remove old books and add new ones through a simple Content Management System accessed on any computer, tablet or smart-phone.
. . . thanks very much for all your hard work with the site. I think it looks absolutely fantastic and it’s been a lot of fun working with you on it . . .
. . . truly the diamond geezer . . . I’m delighted with the site, service and price. If you ever need a testimonial then please do let me know.
. . . it looks great. Thanks for your patience and your excellent work.
. . . looking and working great thank you Howard!
. . . at last - a bit of spare time and I thought I would send you some images to update the website. I had an order today for some prints and it is working brilliantly thank you!